Acrylic is a transparent thermoplastic material with outstanding strength, stiffness, and optical clarity. Acrylic sheet is easy to fabricate, bonds well with adhesives and solvents, and is easy to thermoform. It has superior weathering properties compared to many other transparent plastics. Acrylic sheet exhibits glass-like qualities – clarity, brilliance, and transparency – but at half the weight and many times the impact resistance of glass. From durable signs and skylights to eye-catching retail store fixtures, displays and shelves, acrylic provides outstanding versatility, durability, and aesthetic qualities. 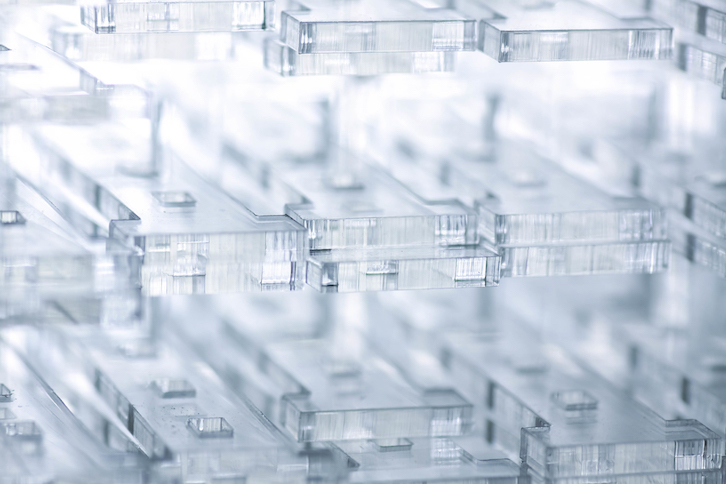 Extruded Acrylic – Extruded acrylic sheet can be manufactured to any length, which often results in cost savings since yield loss can be minimized when parts are cut from custom sheet sizes. Extruded acrylic is also the easiest grade to thermoform and the easiest to bond using solvent types of cement. Cast Acrylic – Cast acrylic sheet has better chemical resistance and superior machining characteristics compared with extruded acrylic. Acrylic for Architectural Applications – Acrylic’s clarity, lightweight, impact resistance, and weather resistance, make this material a popular choice for architectural applications. Acrylic sheet is used in everything from windows and wall partitions to lighting fixtures and canopies. FDA Compliant Acrylic – Acrylic is available in FDA compliant grades. Cut-to-Size Acrylic Sheet – Acrylic is available in “cut-to-size” or “run-to-size” sheet options. Gain the flexibility of buying acrylic how you need it – save time, eliminate scrap, improve your productivity, and reduce wear and tear on your equipment. Acrylic Rods and Tubes – Acrylic rod and tube are available in a wide range of sizes. These materials are often used for point-of-purchase display applications.